With the right plan, video observation and video coaching can be a high-impact lever for accelerating teacher growth. This playbook draws from researcher and practitioner advice to offer 12 video-based strategies that readers can implement in their own context for professional development, including Video Learning Communities (VLCs), Virtual Walk-through, and Online Lesson Study. Teachers narrate a walk-through of their empty classroom or workspace, highlighting why and how the physical space and materials are organized to support student learning. Teacher records a video describing his or her goals for individual students, an entire class, or their own professional growth, as well as why those goals matter to student learning and well-being. Teachers record themselves rehearsing portions of upcoming instruction in order to refine their practice before implementing with students. Teachers examine a recent video alongside previously reviewed videos and commentary in order to identify evidence of change in practice over time and to discern the contributing factors. Teachers capture footage to determine the current state of teaching and learning and, independently or with a partner, determine next steps to support continued professional growth. Teachers watch and analyze an example video that models a specific skill, enact that specific skill in a video of their own, and share footage with a coach, in order to provide a checkpoint on their skill development. Teachers independently analyze a video clip of instruction to deepen their understanding of what constitutes quality teaching and learning. Teachers engage in a structured cycle of inquiry within their classrooms to improve instruction, student and teacher experiences, and student outcomes. A team of educators view and discuss video clips from multiple classrooms to identify and learn from trends across a school or system. A video-based version of Instructional Rounds. Observers view short segments of lesson-length video footage, aiming to identify trends in teaching and learning across classrooms and to provide accurate and specific feedback to teachers. Teachers view, analyze, and discuss footage of one another’s classrooms in order to fuel collective improvement of the community members. A group of educators work collaboratively to focus on specific goals for student learning and well-being, deeply examine instructional materials, design and teach a lesson, and discuss the results. Educators will appreciate that the authors tackle the issue of trust building while at the same time providing best practice and practical examples that promote successful implementation. An important tool that belongs in every school’s professional library. 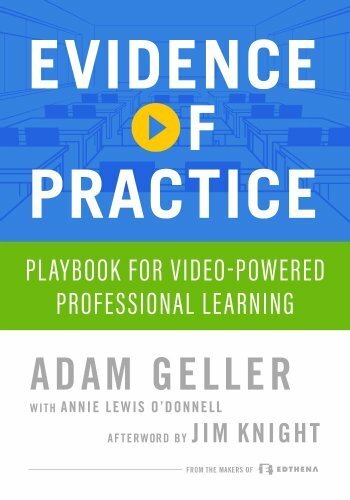 This book fills a sorely needed gap in professional practice literature when it comes to best practices for video coaching, and it answers the important questions any educator might have when using video to improve teaching in the classroom. A nice balance between theory, practice and application. Evidence of Practice clearly shows how video in observation and coaching can further strengthen our teaching practice. It belongs on the shelf of all administrators, coaches, and leadership teams—no matter your current level of expertise in the use of video for professional development. It’s absolutely critical to have a video component in any professional development we do, and this book provides a concrete set of strategies for video coaching that any school or district can act on. This is a resource that teachers, teacher educators, and district administrators should consider as they begin or expand their use of video analysis to support teachers’ professional preparation and ongoing development. 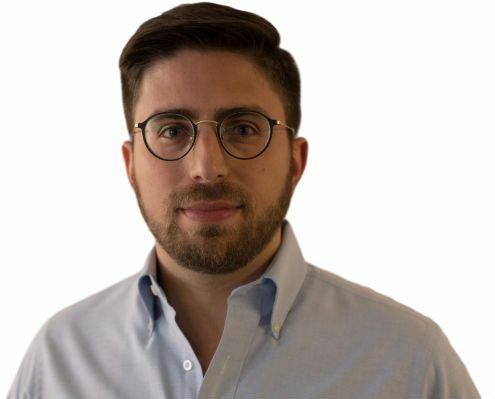 Adam Geller is the founder and CEO of Edthena. He started his career in education as a science teacher in St. Louis, Missouri. Since 2011, Adam has overseen the evolution of Edthena from a paper-based prototype into a research-informed and patented platform used by schools, districts, teacher training programs, and professional development providers. Adam has written on education technology topics for various publications including Education Week, Forbes, and edSurge, and he has been an invited speaker about education technology and teacher training for conferences at home and abroad. Edthena is the award-winning classroom observation platform for using teaching videos as part of professional development. Teachers upload classroom videos to share with colleagues who leave time stamped comments. Edthena also offers specialized collaboration tools to help organizations implement best practices for video-based professional learning. Edthena is the recipient of numerous awards from organizations such as SIIA, District Administration, and Tech & Learning. For more news about Edthena, visit http://blog.edthena.com.